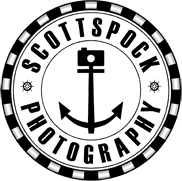 Scott Spock photography has had the pleasure of working as the recommended Wedding photographer for the last 5 years. We work closely with the wedding coordinators to ensure your day flows without a hitch. And of course we know all the quirky fantastical hotspots in and around this fantastic Newcastle city venue. We have enjoyed putting together the concepts of all of AYLI’s marketing & website material. So if you looking for the photographers that truly understand AYLI and how to bring out the best in the venue and quirky surroundings to their full potential then book one of our teams to cover your day. Please contact us at scott@scottspock.co.uk for the discounts we offer AYLI Bride and & Grooms but our package info is detailed on the main wedding package.